This summer, beat the heat with a fete that’s sure to impress. With a few simple decor ideas, you’ll find yourself in a sophisticated backyard oasis. 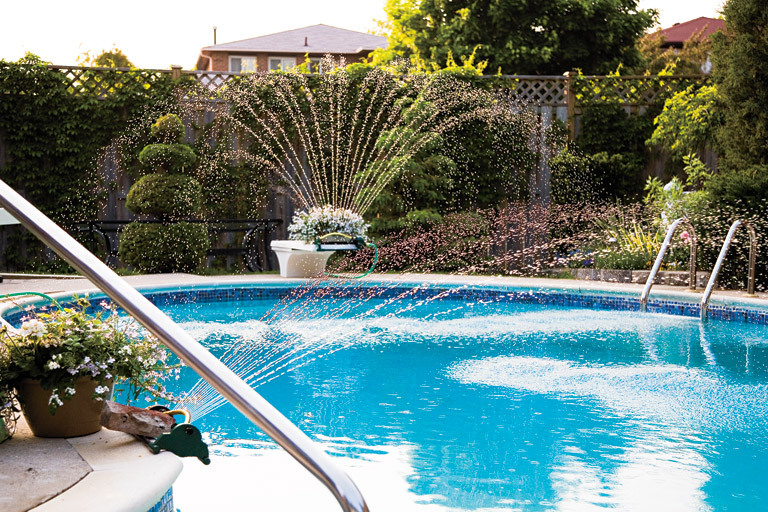 Stash the noodles and the inner tubes in the shed and turn a pool into an instant water feature using sprinklers. 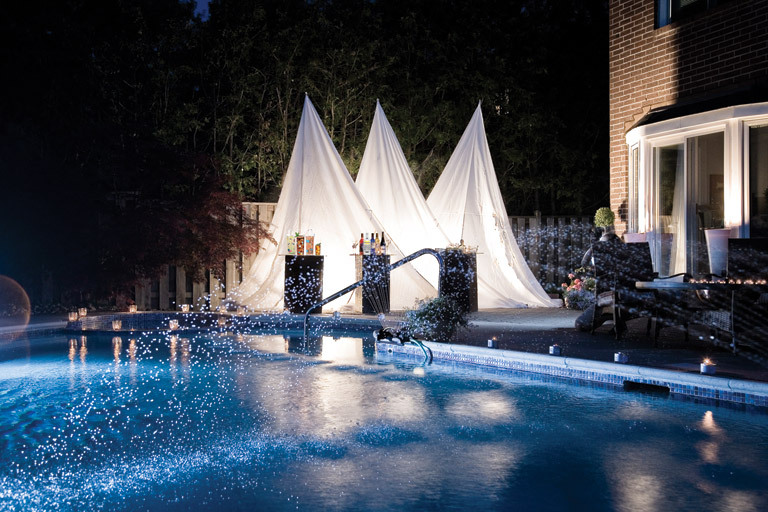 Their spray will sparkle in the sunshine, create interesting patterns in the pool’s water and fill the air with the soothing sounds of a fountain. 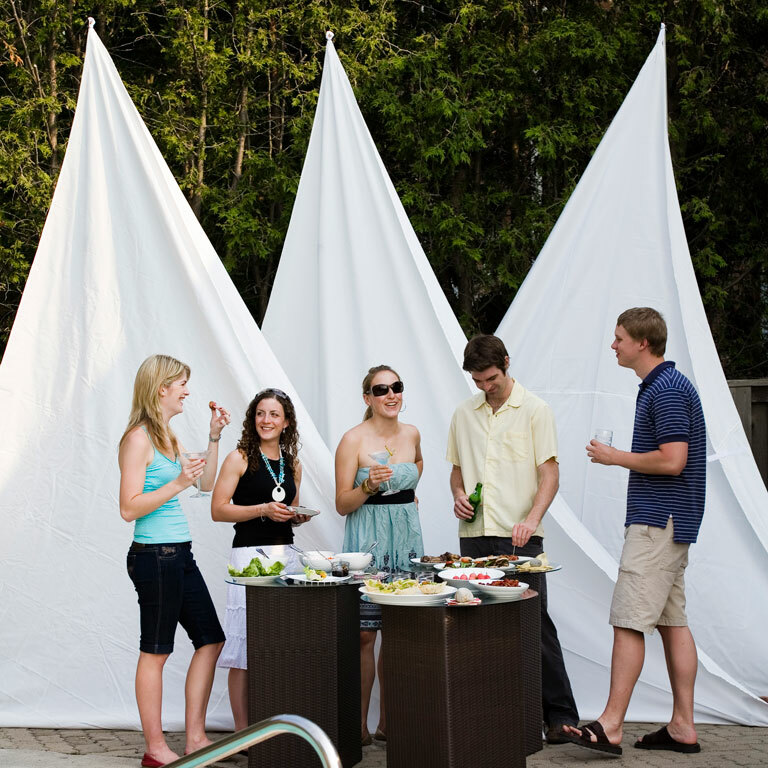 To add some texture and intrigue to the decor, hang sails or canopies behind a cluster of cocktail tables. They’re also a great way to mask air conditioners, sheds or other unsightly areas of your outdoor space. 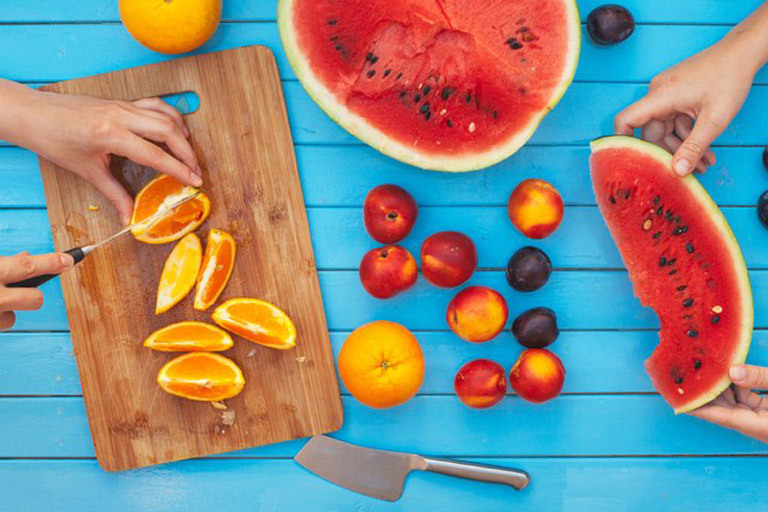 When it comes to drinks, fruity cocktails are a poolside must. Try Hpnotiq, a refreshing blend of premium French vodka, exotic fruit juices, and a touch of Cognac. Garnish with slices of star fruit. Indulge your inner child with adult snow cones. Pour a shot of freezing Absolut Pears over the top and enjoy! Other flavoured liqueurs or even chilled, sweetened espresso or Italian soda syrups work well too. Impress your guests with colorful canapés like refreshing feta and watermelon skewers. It’s a cinch: Skewer a melon ball, a mint leaf and a cube of feta on a toothpick and voila! Instant hors d’oeuvres. 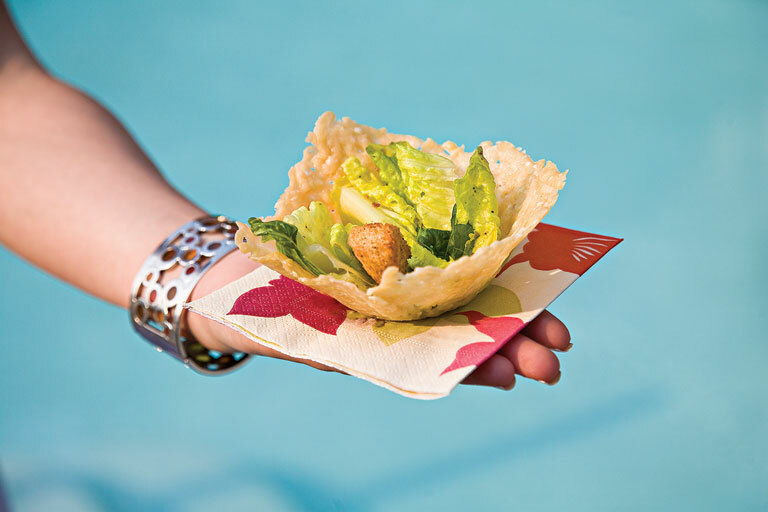 Offer a mixture of lighter items, such as antipasti or caesar salad served in delicious edible baskets, alongside more substantial dishes like blue-cheese stuffed mini-burgers and Asian Lettuce Wraps. 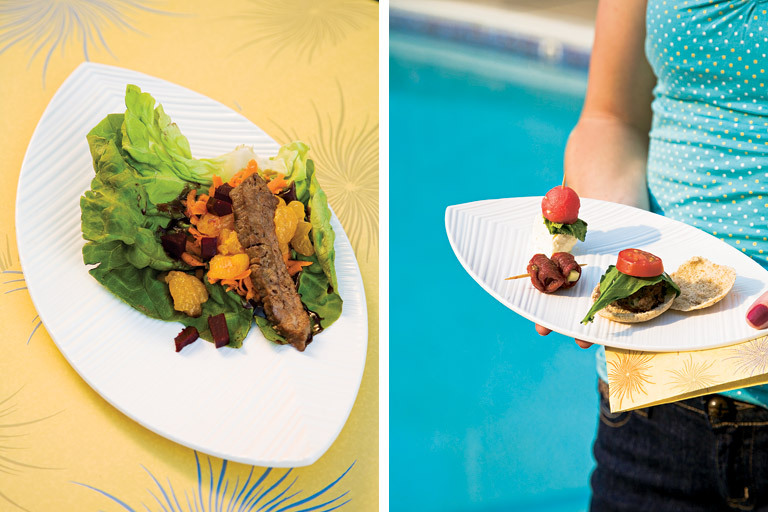 Serve thin slices of teriyaki flank steak, beets, grated carrot, mandarin segments and hoisin sauce in separate bowls for guests to assemble into a delicious low-cal wrap. 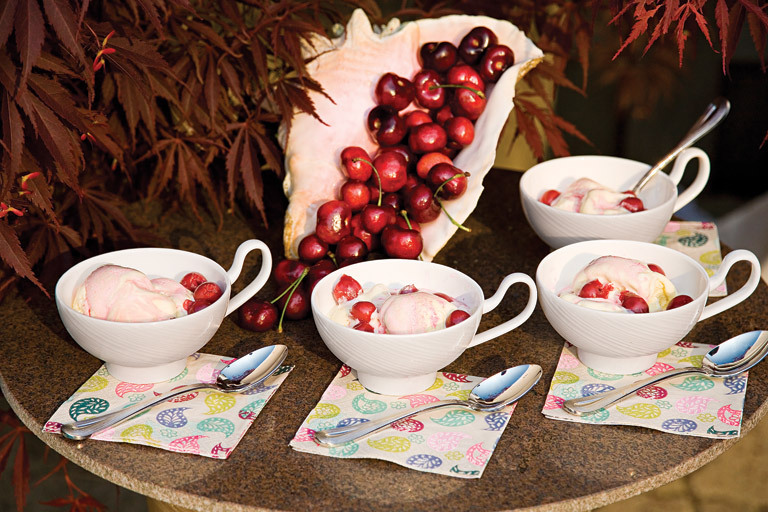 Serve seasonal fruits with ice cream for a cool and refreshing dessert. Tea cups make great dessert bowls as they are easy to handle. After dark, up the drama with outdoor spotlights. Lighting is not only an important atmospheric element, but it can also help to keep your guests safe as they hop between drink stations. Line your pool’s edge with votives or lit cans of chafing fuel so no one falls in. Set up drink stations using tall planters as bases and inexpensive picture frames or trays as tabletops. Serve pitchers of cocktails and a selection of wine and soda. Repurpose outdoor accessories as ice buckets to keep bottled water, wine and beer cold–planters, a fountain, or a wheelbarrow are all fair game. Your guests will stay refreshed–and out of the kitchen. 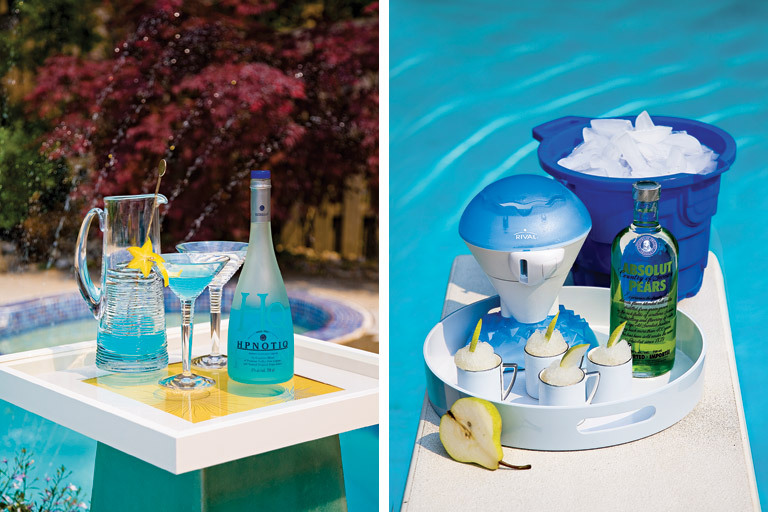 Splash into summer with Zola Wedding Registry’s Summer Lovin’ Starter Collection. 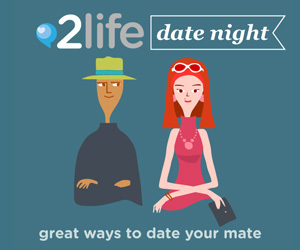 Enjoy the sun-soaked days and warmer nights with friendly faces and pops of vibrant color. Create your Zola wedding registry, then start building a registry that reflects your couple style. 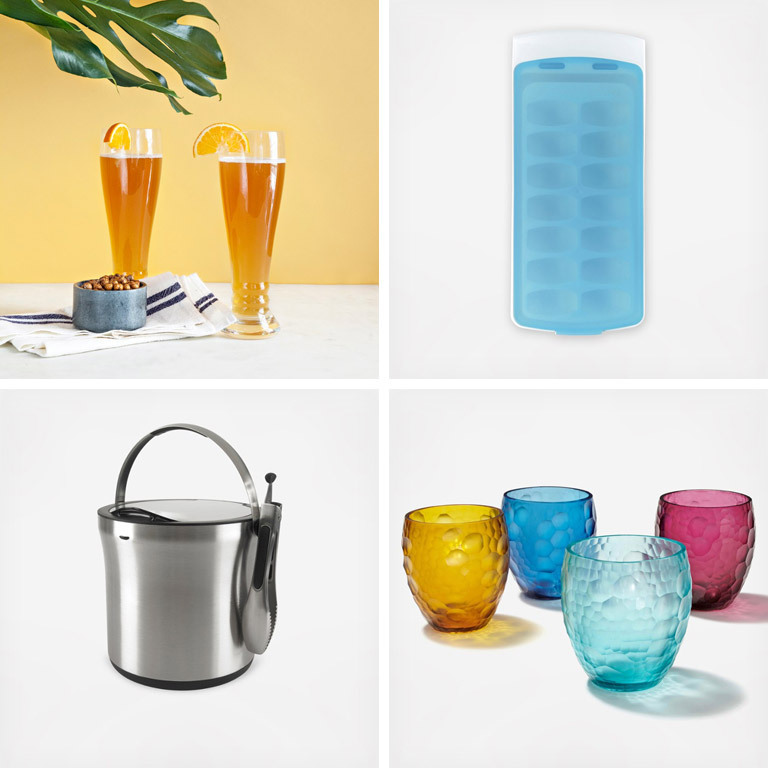 Shown here: Schott Zwiesel Bavarian Beer Glass, Set of 6; OXO Good Grips No-Spill Ice Cube Tray; OXO Steel Ice Bucket & Tong Set; and, Anna New York By Rablabs Copo Tumblers, Set of 4. Available at Zola. 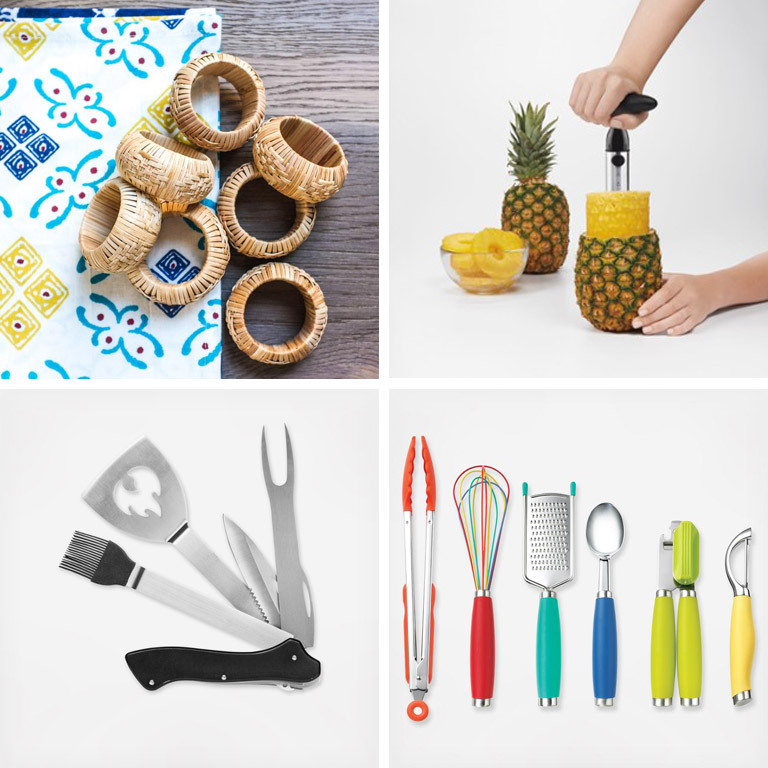 Shown here: Caravan Bamboo Napkin Rings, Set of 4; OXO Good Grips Pineapple Slicer; Sagaform 5-Piece BBQ Multi-tool Set; and, Fiesta 6-Piece Kitchen Gadget Set. Available at Zola. 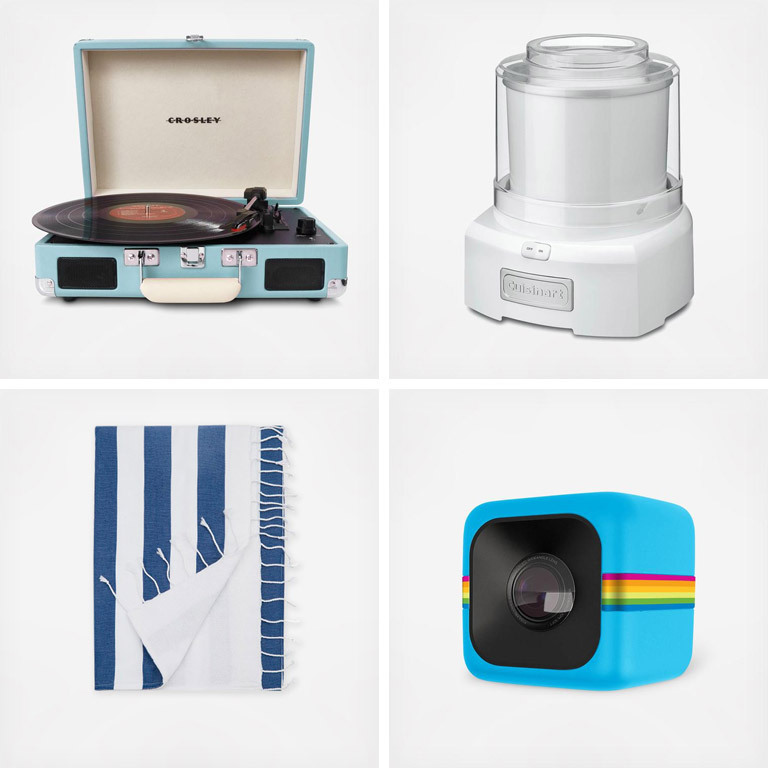 Shown here: Crosley Cruiser Portable Turntable in Turquoise; Cuisinart Automatic Frozen Yogurt, Ice Cream & Sorbet Maker; Nine Space Deck Beach Towel; and, Polaroid Cube Camera. Available at Zola.